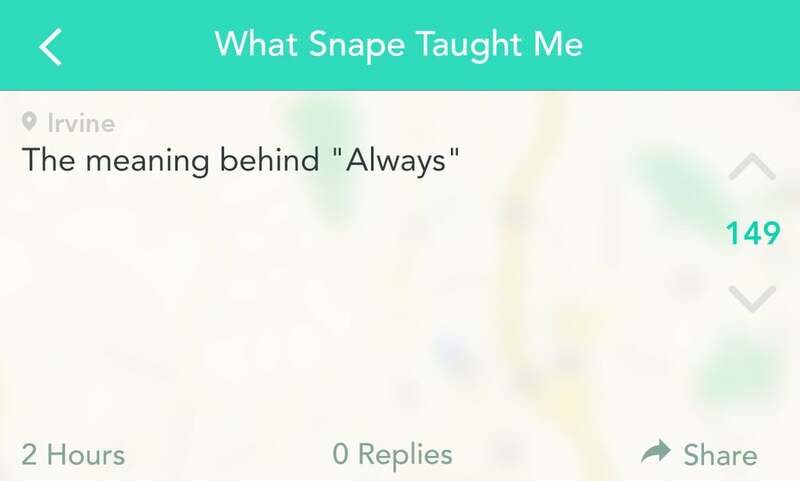 Every Harry Potter fan has a complicated relationship with Severus Snape. 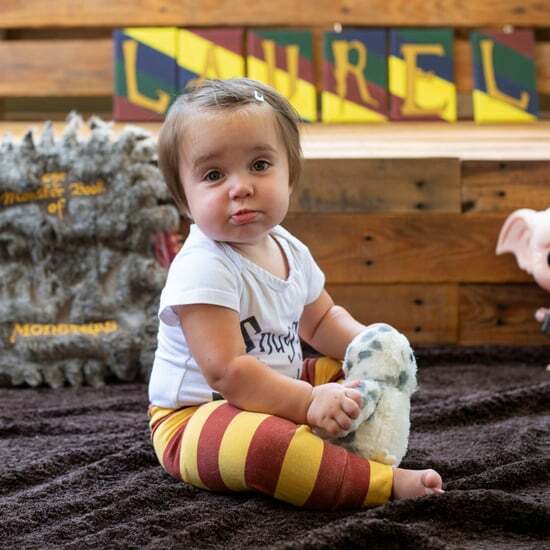 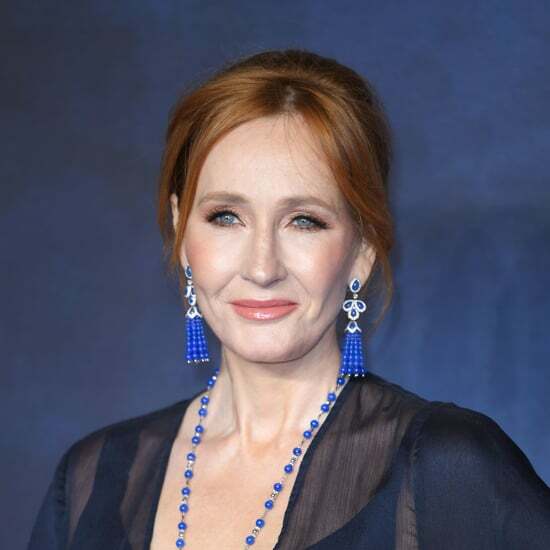 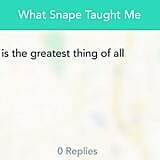 He was one of the meanest characters in the books and then suddenly warmed our hearts with his love for Lily Potter. 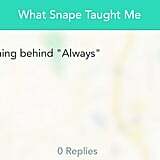 Regardless of how you feel, you can't deny that Snape definitely taught us key life lessons that we can never forget. 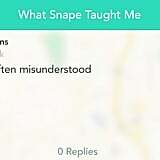 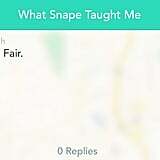 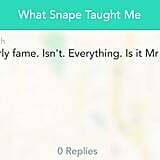 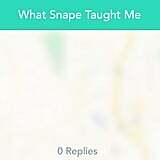 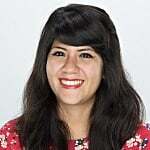 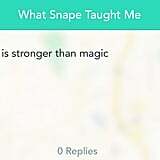 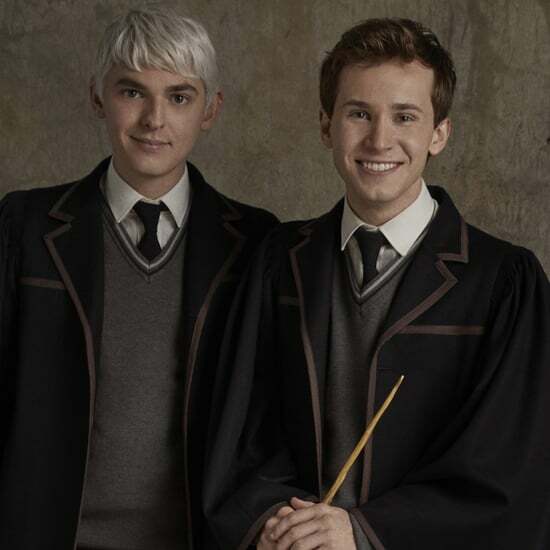 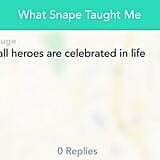 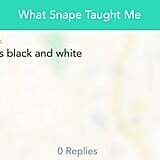 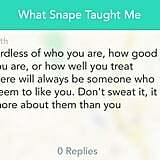 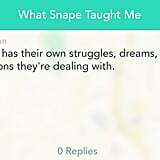 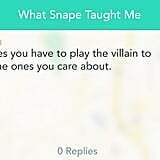 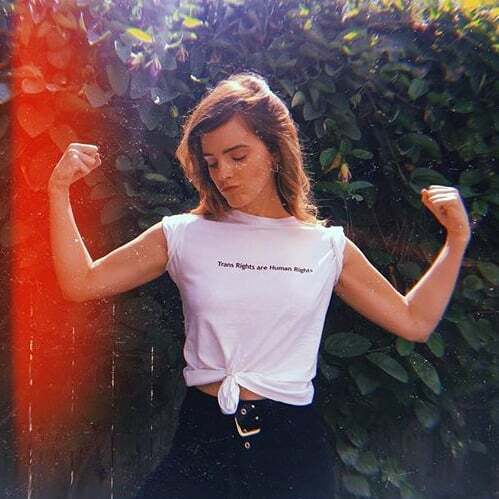 It's a feeling people on the popular social media sharing app Yik Yak resonated with when they discussed the things they learned from Snape. 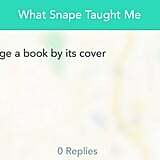 Read on and try to contain yourself when you remember everything good about Snape.